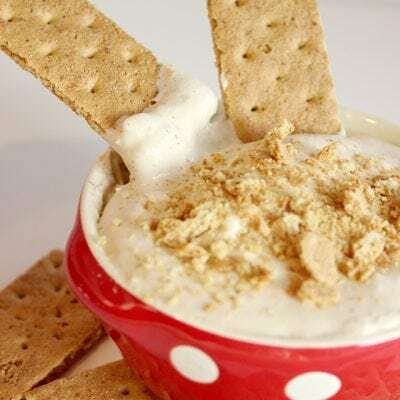 This caramel cheesecake dip is my go-to potluck snack (I usually pair it with loads of freshly sliced apples and/or graham crackers), and it is always a HUGE hit! It makes a great snack for sports teams and classroom parties, too! I like to pre-portion the dip into 2 oz. plastic cups, top with apple slices, and a drizzle of caramel sauce. SO yummy (and addictive!)! 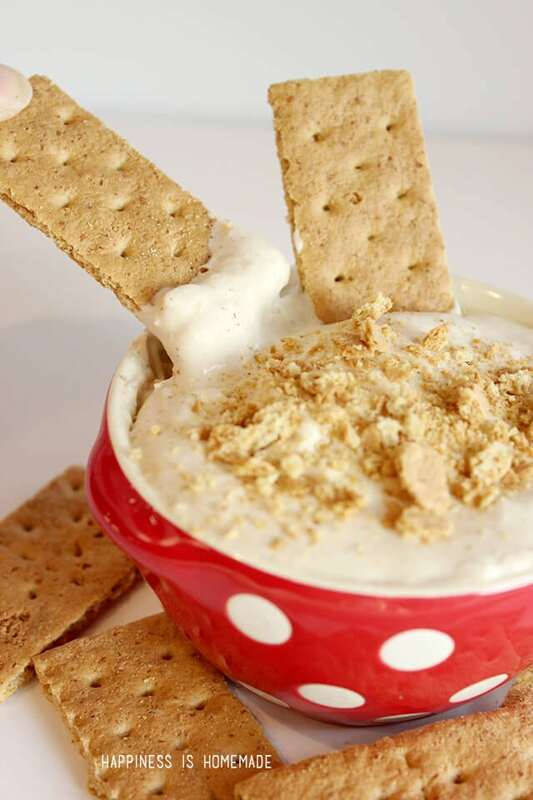 2 Graham Crackers, crumbled, or 8 mini sticks if you're using the house leftovers! In a stand mixer, whip cream cheese, brown sugar, graham cracker crumbs, cinnamon and vanilla until light and fluffy. In another bowl, follow the directions from Living Better Together to combine heavy whipping cream, vanilla and both sugars into perfect homemade whipped cream. Top with additional graham cracker crumbs for garnish. 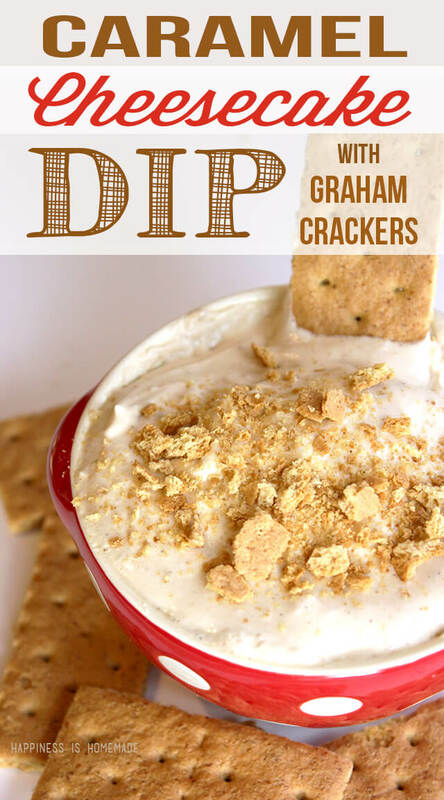 Serve with graham cracker sticks and sliced apples for dipping.